Historic PSLV-C45 flight places India's 'spy detector' satellite on orbit to act as a force multiplier by monitoring electromagnetic radiation indicating radar activity. Emisat, the intelligence-gathering satellite that Indian Space Research Organisation (ISRO) placed in orbit on Monday, April 1, promises to be a force multiplier for the nation's defence forces by monitoring radar activity in Pakistan and China. The full potential of the 436 kg satellite launched as the principal payload on a new configuration of ISRO's workhorse Polar Satellite Launch Vehicle (PSLV) by its commercial launch designation of PSLV-C45 is a closely guarded secret. The launcher placed on orbits 28 other smaller satellites belonging to entities based in the US, Spain, Switzerland, and Lithuania. It is said that Emisat, built by the Defence Research Development Organisation (DRDO), will gather information on enemy radar positions from a sun-synchronous orbit at an altitude of about 750km with an inclination of 98.4 degrees. Emisat will achieve this through electromagnetic spectrum measurement. 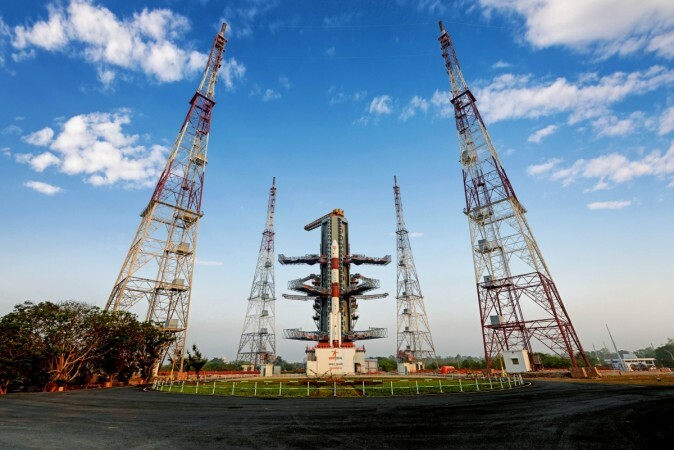 The spacecraft reportedly carries a payload of DRDO's prestigious Kautilya system for electromagnetic intelligence (ELINT) gathering, known to have been under development since at least 2014. Built by the ISRO, the satellite is based on the Indian Mini Satellite 2 (IMS-2) bus with solar panels providing 800 watts of power for the spacecraft, according to a report on NASA Space Flight. The report says ELINT capabilities are among the most highly-classified and closely-guarded aspects of operation for military satellites with the countries that already operate such spacecraft, and India appears to have taken a similar approach with Emisat as few details of the satellite or its planned operations have been made public. ELINT missions typically involve monitoring radio signals and using these to determine the nature and location of the transmission's source. The Polar Satellite Launch Vehicle (PSLV-C45) carrying Emisat and 28 other payloads on the launch pad of Indian Space Research Organisation (ISRO) at the Satish Dhawan Space Centre in Sriharikota, Andhra Pradesh. The launch placed on orbit Emisat built by ISRO incorporating Defence Research and Development Organisation's (DRDO) ELINT (electronic intelligence) payload Kautilya. Courtesy: ISRO website. Apart from Emisat, the PSLV-C45 launch at 9:27 am from the Satish Dhawan Space Centre in Sriharikota of Andhra Pradesh state carried 28 other spacecraft that were deployed in orbits of three different altitudes, a first for ISRO. The space flight was even more important for ISRO in that it is testing the prototype of an orbiting experimental platform for a future space station. The Polar Satellite Launch Vehicle (PSLV-C45) lifts off from Satish Dhawan Space Centre of Indian Space Research Organisation (ISRO) carrying Emisat and 28 other payloads. Courtesy: ISRO website. The manoeuvrable upper stage of the launch vehicle propelled itself to the final orbit after the last spacecraft was ejected where its three attached payloads will demonstrate their capability for future missions. 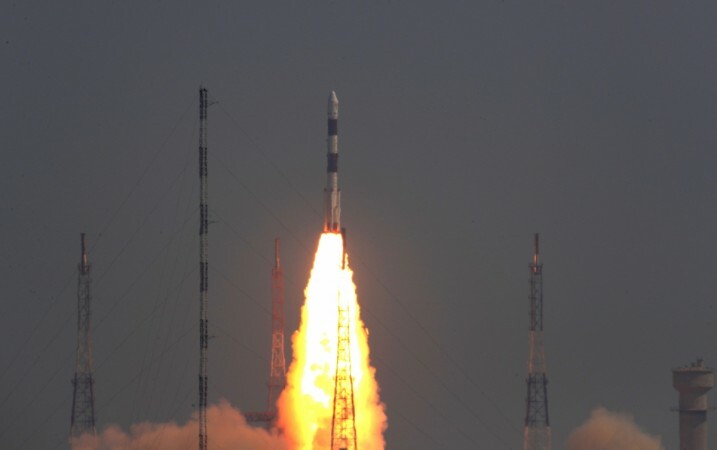 According to the ISRO website, the orbiting observatory prototypes payloads are Automatic Identification System (AIS) from ISRO, Automatic Packet Repeating System (APRS) from AMSAT (Radio Amateur Satellite Corporation), India, and Advanced Retarding Potential Analyzer for Ionospheric Studies (ARIS) from the Indian Institute of Space Science and Technology (IIST). The launch also tested a new configuration of the PSLV, a further intermediate between the lightest and heaviest versions of the rocket. The other 28 foreign satellites are smaller satellites built to CubeSat specifications, a set of standards for small satellites based around common form factors and deployment mechanisms so that each spacecraft does not need custom hardware to carry it aboard a rocket, according to experts. Twenty of the CubeSats aboard launch were from US company Planet Labs. These satellites represent the next generation of spacecraft in a large Earth-imaging constellation that Planet has deployed over the last five years. Each satellite, known individually as a Dove, carries an image that can capture pictures of the Earth's surface at resolutions of up to three metres. Designed to be low-cost and short-lived, over 300 of these spacecraft have already been deployed allowing Planet to image each location many times per day so customers get almost real-time monitoring. Another American company, Spire Global, has sent up four Lemur-2 spacecraft by the launcher. Each Lemur is a three-unit CubeSat equipped with three payloads: STRATOS instrument measures occultation of signals from GPS satellites – inferring atmospheric conditions such as temperature, pressure and humidity from how GPS signals are affected by passing through the atmosphere. The four-stage PSLV is ISRO's main launcher standing 48-metre tall with a diameter of 2.8 metres with a liftoff mass of 320 tonnes. Though the first developmental flight of PSLV in September 1993 was a failure as the rocket failed to reach the intended orbit, it has notched up a hundred percent success rate since then, having placed on orbit 257 satellites of which 48 were Indian spacecraft and the rest for foreign entities. Developed in four configurations, the heaviest PSLV-XL versions were used to launch India's historic moon and Mars missions. PSLV-C45 was the first flight of its fourth new intermediate version PSLV-QL with four solid-fuel rocket motors attached to its first stage to provide additional thrust, as opposed to the six that are used on the heavier PSLV-XL. PSLV can take a 1,750kg payload to an orbit at an altitude of 600km and payload of 1,425kg to the geostationary transfer orbit (GTO) of about 35,000km from where it can be raised to Geosynchronous orbit (GSO) of about 36,600km, according to the ISRO website.